Ed spent seven years as the strength and conditioning coach at Gloucester Rugby Club, developing athletes in the top-tier of English rugby. He has been enlisted as a fitness consultant by performers and athletes for a range of sports and disciplines, including Formula 1 and the Birmingham Royal Ballet. Ed launched Action Professionals in 2010 as a way to develop young athletes with tailor-made programmes, serving also as a tutor/assessor for the UK Strength and Conditioning Association. Ed’s volunteered involvement with Jamie began during his successful static cycle world-record attempt, since which Ed has provided support, management and a programme of strength and conditioning based on the enormous physical demands Jamie’s challenges place on his body. Former care support worker Kev is Jamie’s cousin and also a fundraiser. He surprised Jamie in 2012, joining him in the Turkish city of Batman to cycle across the country, dressed as Batman and Robin during Jamie’s 14,000 mile journey from Bangkok to Gloucester. 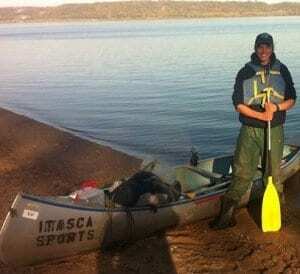 In 2013, Kev began a journey called Paddling the Mississippi, raising funds for the local children’s hospital in Gloucester, paddling the 2,350 miles from the Mississippi River from source to sea. Kev’s support for Jamie is emotional and through a shared understanding and passion for adventure, Jamie lists Kev amongst the most important contributors to his challenges. Jody is a former English and Great British beach volleyball player, and the youngest-ever British champion. Since retiring from the sport, Jody founded Gloucester-based festival Sportbeat with his wife Denise Johns (also a former Great British beach volleyball player) and friend Jack Adams. Jody’s single-mindedness as an athlete means he understands Jamie’s mentality better than most. Jody plays a large role in the fundraising efforts for Jamie and uses his business and social media expertise – as the only ‘verified’ Twitter user in the team – to help share Jamie’s story. 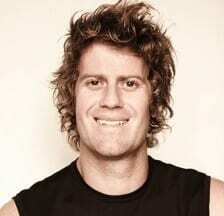 Rich has worked in public relations for seven years, before which he worked as a personal trainer. He specialises in personal PR and creative stunts and campaigns. His experience leading award-winning PR campaigns for clients including Premier Inn, IKEA, Confused.com, Water Aid, Just-Eat.com and many others led to him being named in industry magazine PR Week’s ‘29 under 29’ list of promising professionals. 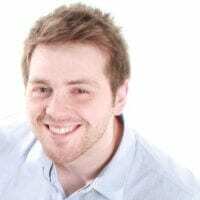 Rich was also shortlisted for the Mark Hanson award at the UK Social Media Awards, which recognises the brightest and most promising social media communicator under 30 years old. In 2012 he founded PRexamples.com, now the UK’s most popular independent PR campaign blog. Also from Gloucester, Rich manages Jamie’s website, speaking enquiries and provides press and social media support to ensure as many people as possible hear about Jamie’s challenges. Jamie Richards is very unique in the world of health and performance. Having studied as a nutritional therapist he went on to become one of the very few UK trained Clinical Psycho-Neuro-Immunologist. Jamie works with some world class performers from free divers to multi Everest summiteers to ultra endurance athletes. The other side of Jamie’s business sees him work with those that are struggling with their health and aren’t responding to conventional therapy. Jamie is also an enthusiastic, engaging, outspoken and entertaining public speaker and lectures around the UK. Jamie provides Jamie with volunteered nutritional programmes and advice that relate specifically to his unique challenges, where Jamie’s diet can be the difference to his success, both physically and psychologically.